The Law School Admission Council was organized to coordinate, facilitate and enhance the law school admission process. In addition to administering the Law School Admission Test (LSAT), LSAC provides a number of services and produces several publications. What is the Credential Assembly Service (CAS)? to produce for law schools an LSDAS Law School Report for each applicant period. CAS was formerly known as LSDAS (the Law School Data Assembly Service). How does it work? How do I register? All applicants to accredited law schools must register with CAS. You can register online at www.lsac.org. CAS will create a file on you that includes your LSAT score, transcripts, and letters of recommendation. When a law school receives an application, they contact CAS, who in turn sends all requisite information directly to the law school. The applicant is thus saved from having to send a separate transcript, LSAT score report, etc. to each school. Upon registration, CAS will set up a file for each candidate that is updated when new information is received. Applicants can check on the status of their file online, and both applicants and law schools are periodically sent up-to-date summary reports with all pertinent information. Once you register for CAS, your subscription is good for 5 years. You will need to purchase one report for each law school you apply to. However, you do not need to notify CAS of which specific law schools you will be applying to. Should I register for CAS at the same time that I register for the LSAT? You can register for CAS at the same time that you register for the LSAT, but it is not required. If you are certain that you will be applying to law school, it is easiest to register for CAS at the same time that you register for the LSAT. 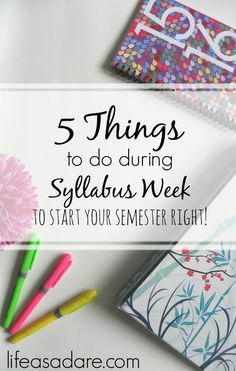 You can register later if you want to, but you should make sure that you do so well before you submit your law school applications (at least six weeks before you plan to submit your applications to give yourself time to accumulate all of the needed materials). If you are not certain that you will be applying to law school, you could wait to register with CAS until you decide that you are applying. What do I send to CAS? After registering, a candidate must send CAS an official transcript from every institution they attended. CAS will then compile it into the standard format for reporting. You can also upload your personal statement, along with law school application forms, to CAS. Your recommenders will send their letters of recommendation, along with the recommendation forms, to CAS. Your LSAT score is automatically included in the CAS report. So, instead of re-creating an application for each school you apply to, CAS allows you to collect the information in one place and disseminate it to each law school you are interested in. How do I send my letters of recommendation to CAS? For information about using the CAS letter of recommendation service, visit http://www.lsac.org/LSAC.asp?url=lsac/letters-of-recommendation.asp. I need some assistance identifying law schools that would be a good fit for me. The NAPLA (Northeast Association of Pre-Law Advisors) Law School Locator may be able to help. You can also gather information on schools using the 2015 LSAC Official Guide to ABA-Approved Law Schools. If you are looking for information about the availability of clinical and externship (which are the same as internships) programs, public interest curricula, scholarships and loan repayment assistance, and public service programs, you can utilize the E-Guide. The Equal Justice Works Guide to Law Schools allows users to explore individual schools in-depth or easily compare schools based on the criteria most relevant to them. What is NALP? How can it help an undergraduate student? NALP is the National Association for Law Placement. NALP provides information and assistance in the areas of legal career counseling, planning and recruitment, as well as legal employment and professional development. NALP has a directory of law schools. NALP also has a directory of legal employers, which can be helpful if you are interested in working for a particular employer or have a particular job in mind. It can provide you with information about the job market for law graduates generally and in specific areas of the law, as well as provide information about trends in the legal field.